Are you new to design or paper crafting? 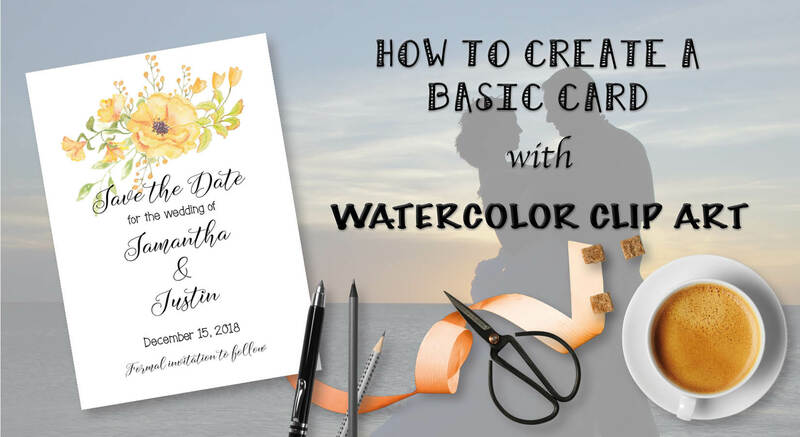 This tutorial will help you create a basic, but beautiful card using one of my floral sprays (or any floral spray of course!). If you don’t have design layout software such as Adobe Indesign, there are a number of free design programs (such as Scribus) available – either for download from the internet or for use in your browser. You can even create a basic card in MS Word (see the tips for MS Word at the end of this tutorial). You can of course also create cards in Adobe Photoshop. Let’s assume that you have a design program. This short tutorial is for a 5 X 7 inch card. You can make the card any size you wish. If you want to be really “fancy”, you can create a ¼ inch “bleed” around the edges of the card (for trimming purposes after printing), in which case your document size should be 5.5 X 7.5 inches. But to keep this simple, I’m not going to work with a bleed. This means that when you print your card, you should trim it to 5 X 7 inches. Use fine pencil marks to mark out your 5 X 7 inch card before trimming. Firstly, open a new document in the design program of your choice. Make the document 5 inches wide and 7 inches high. Give it margins of ½ an inch all round. The margins will only be used as a guide for the text and not for the clip art. The clip art looks great if it stretches almost to the edge of the card. 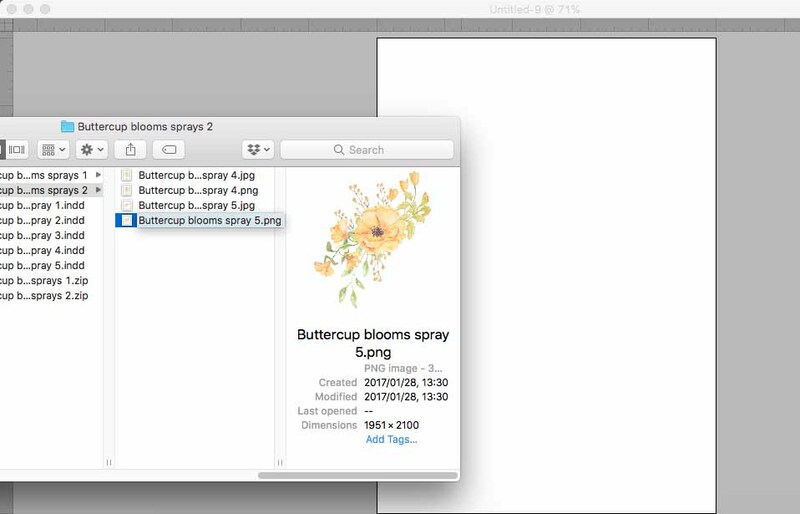 Drag and drop (or copy and paste) the floral clip art spray that you’ve decided to work with into the card. In this example, I’m using a spray from my “Buttercup Blooms” spray collection (available HERE). Resize the spray to fit attractively. Remember to check the “auto fit” button in your program so that the proportions remain correct when you resize. Note: The clip art that you use needs to be in a PNG file format (and not in a JPEG file format), since PNG files have a transparent background. If the clip art has a white background (as with a JPEG file), it will block the text that you add to the card. When you’re happy with the positioning of the clip art, create your text. Most design programs require you to place text within a text box or frame. Create a text frame that fits within the left and right margin of the card. Add your text. This is where you can play around with fonts, and be really creative. 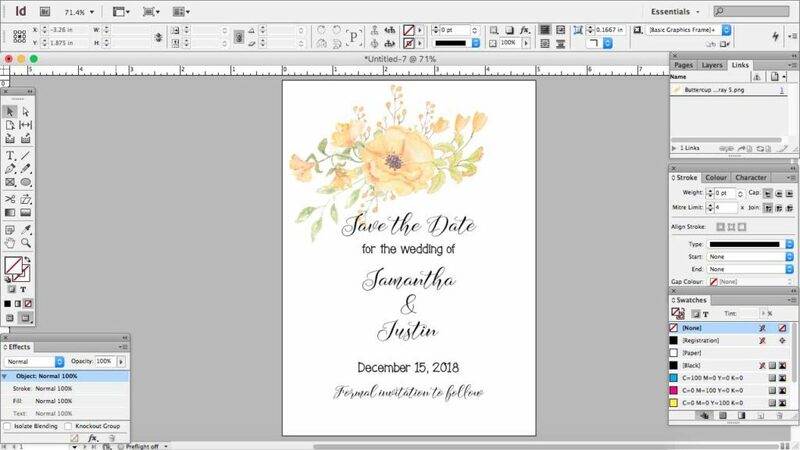 In my example, I’m creating a “save the date” card, and I’m using the fonts Wellthington (the script font), and KLRahRahRah (the quirky print font). 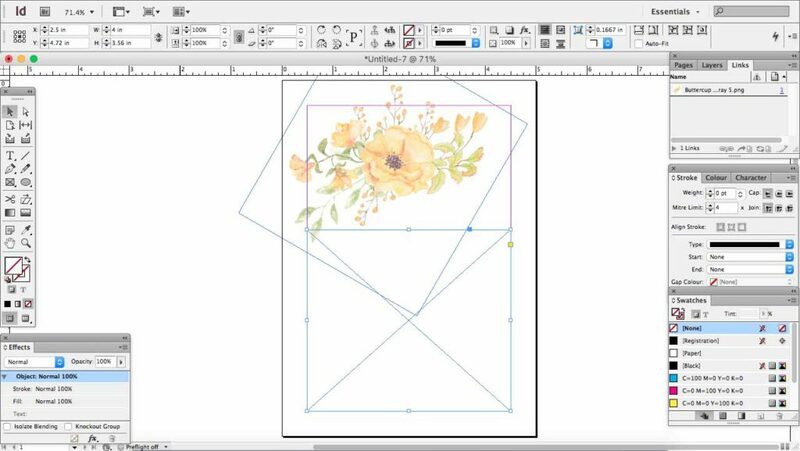 Once you’re happy with the positioning and layout of clip art and text, you should create a PDF file from the document since this makes printing really easy. Either “export” the document to PDF format, or “save as” a PDF, depending on the software you’re using. Print and trim. You can also export your card (or “save as”) in JPEG format, and use it as an eCard (i.e. one that’s digital and not printed). An eCard is handy for sending to friends or family by email, or posting on social media. 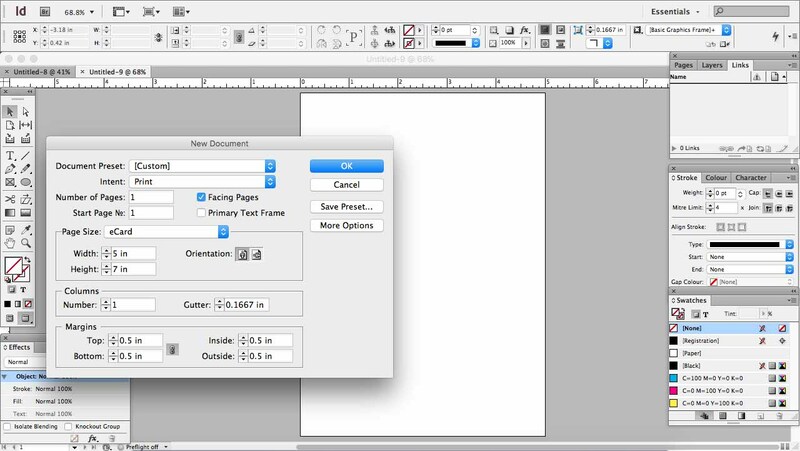 Create a document of the correct size for the card; “copy and paste” or “drag and drop” your clip art into the document. Click on the image to bring up the “format picture” menu; select “behind text” under the “wrap text” menu. This allows your text to be visible in front of the clip art. Resize and position your clip art, then add your text as you would in any Word document. I hope you have lots of fun creating gorgeous cards!